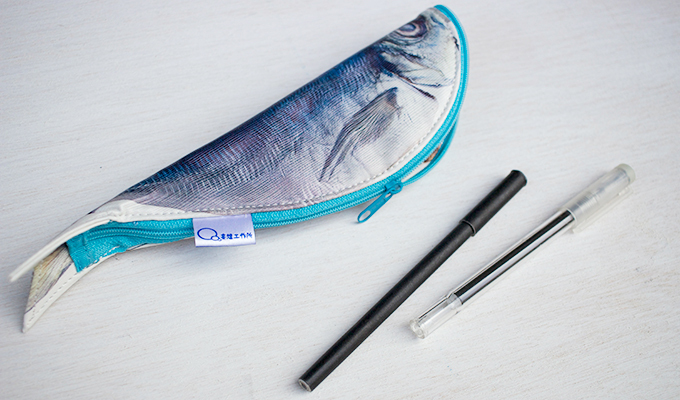 Fish s a good accompaniment for pen case. 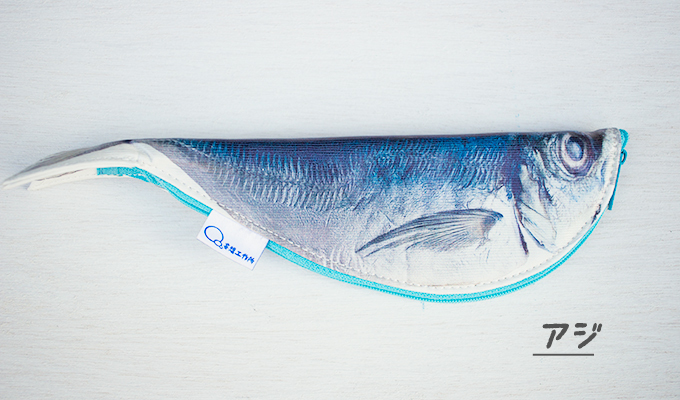 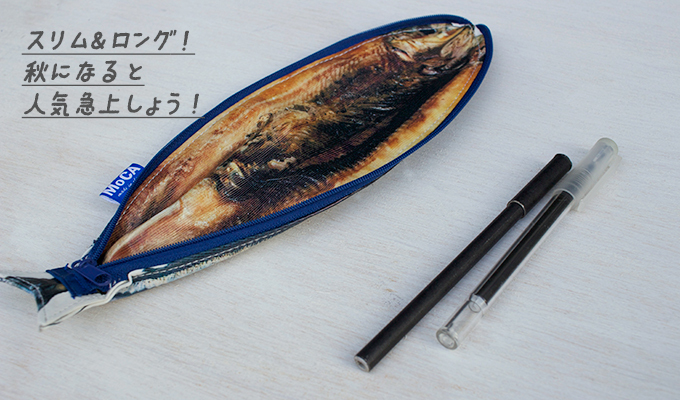 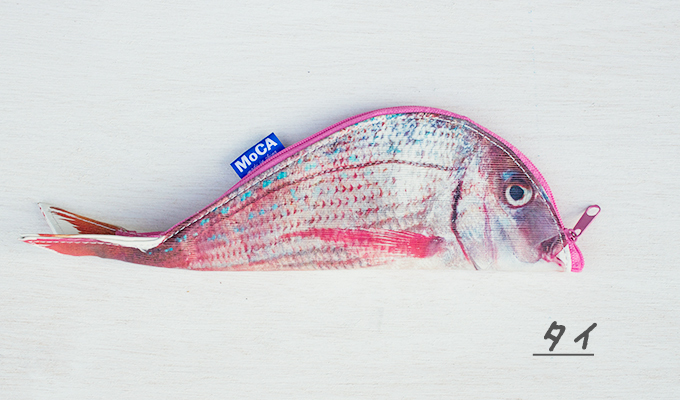 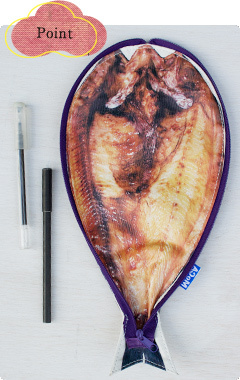 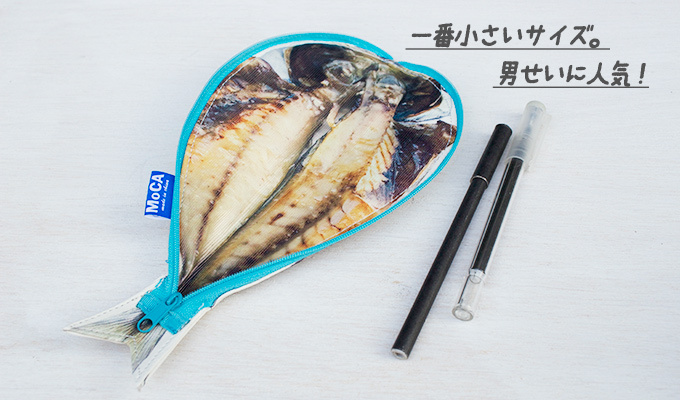 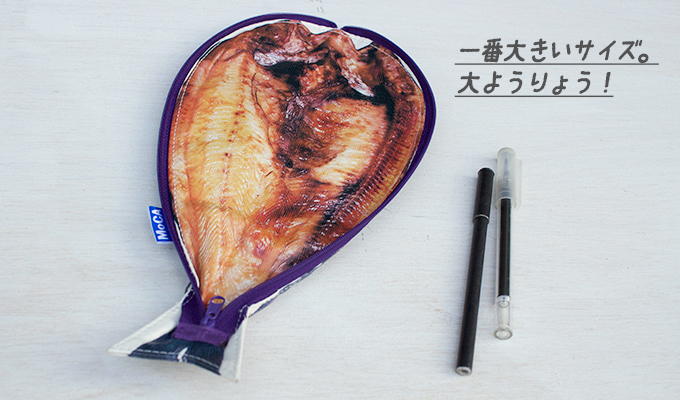 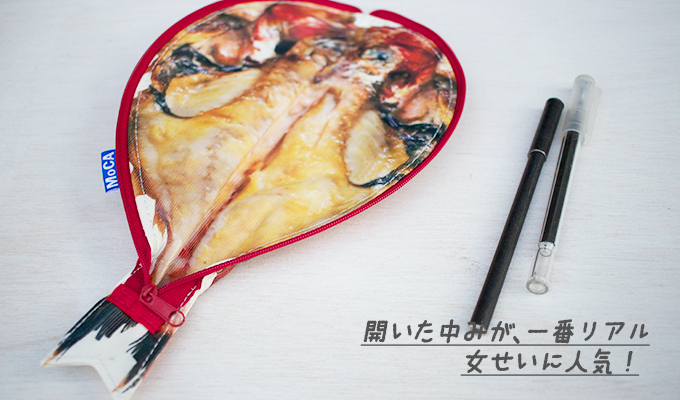 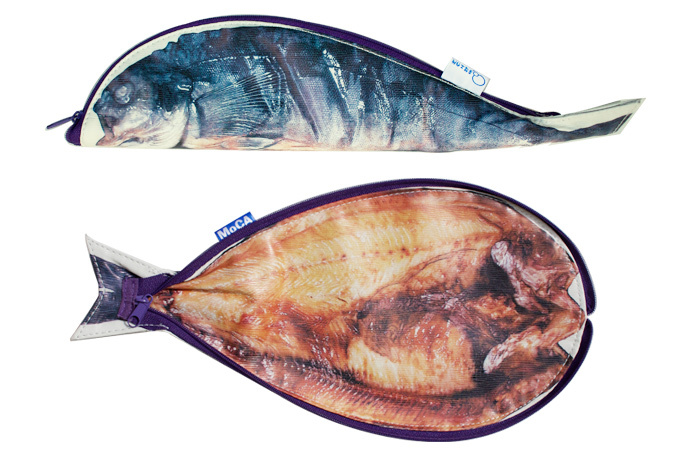 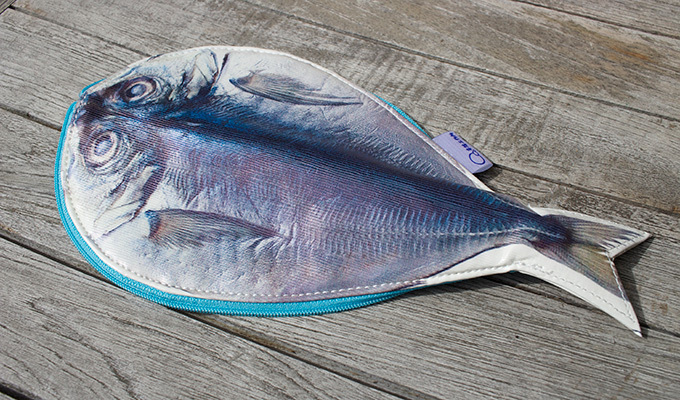 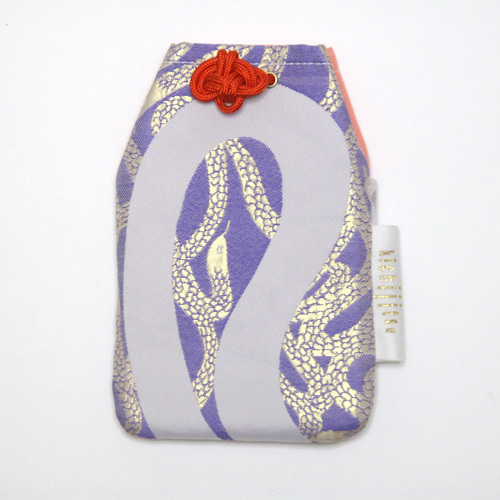 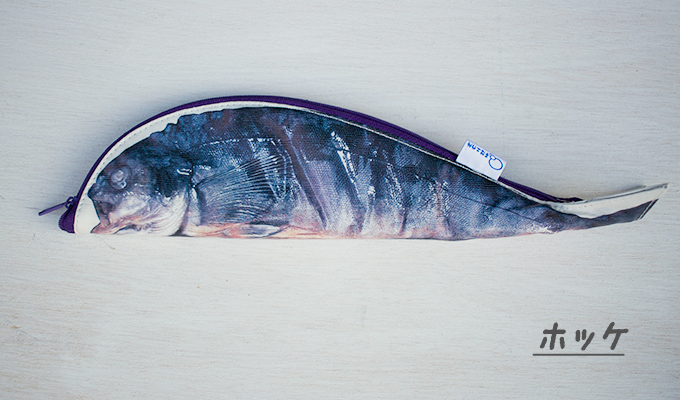 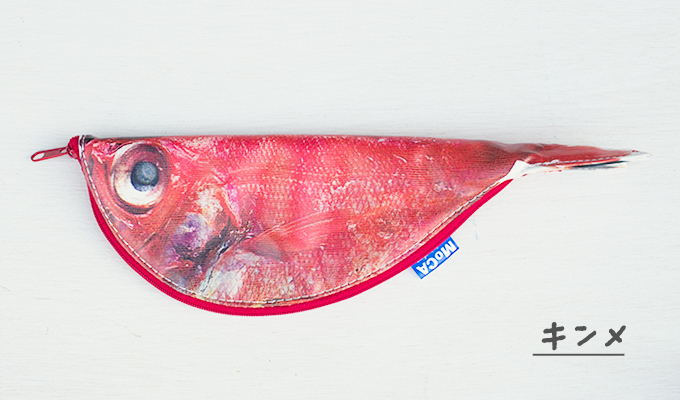 The fishes Japanese people love so much became pen cases. 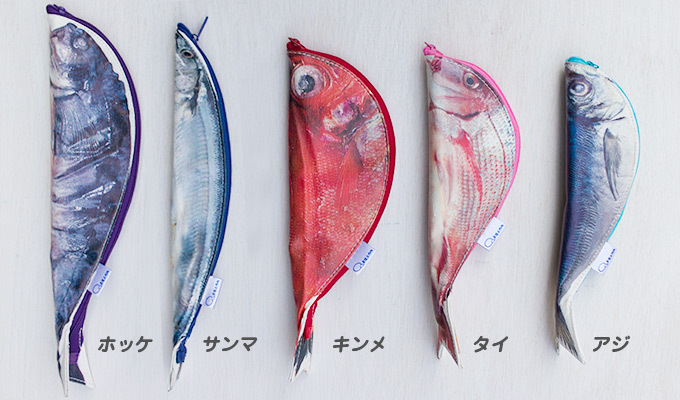 Although each of them looks like an ordinary fish, you can find a picture of baked fish with eyes open, after unzipping. 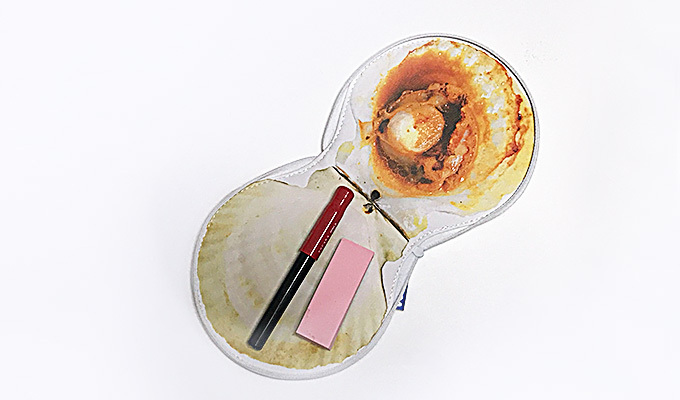 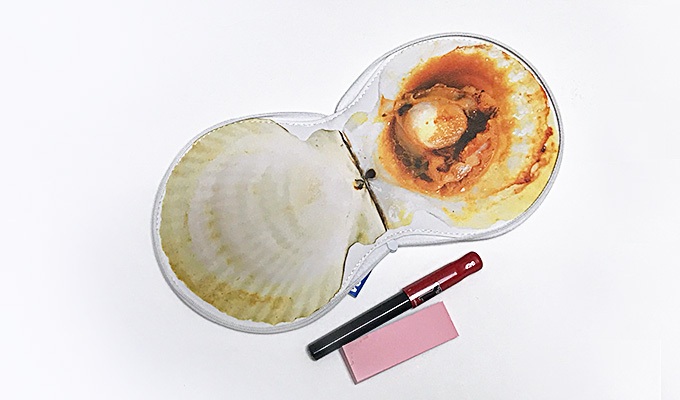 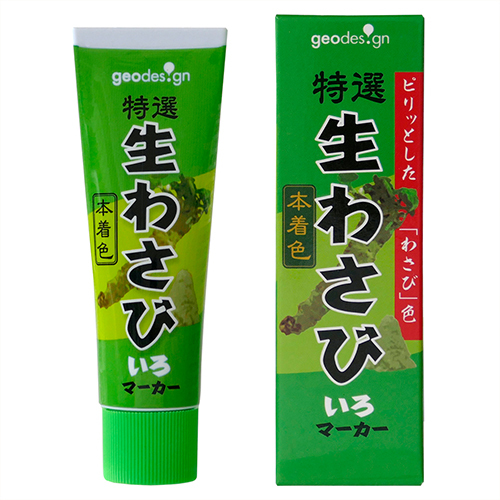 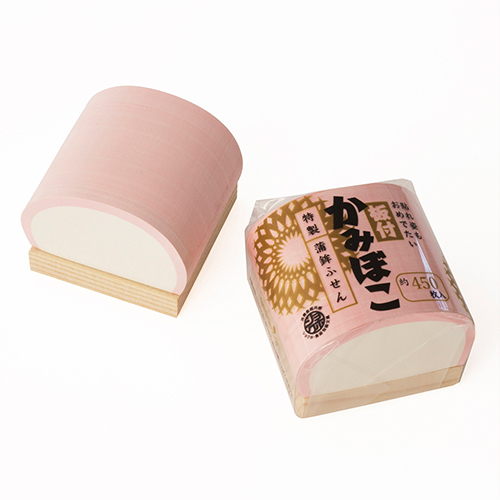 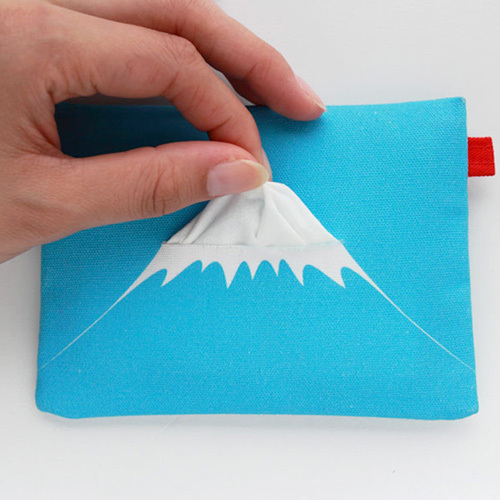 You can use whatever you like such as a pen case, a medicine box, a perfume box. 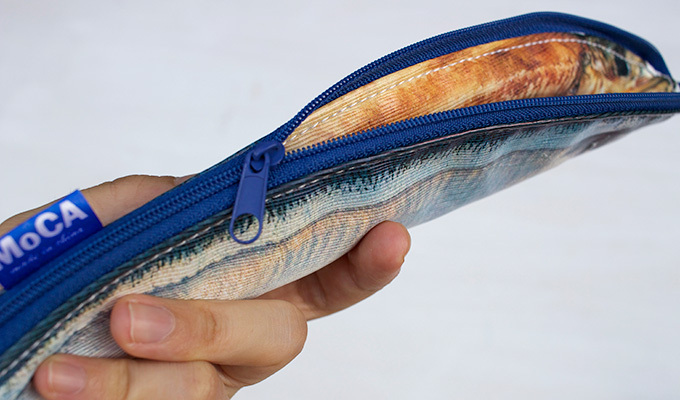 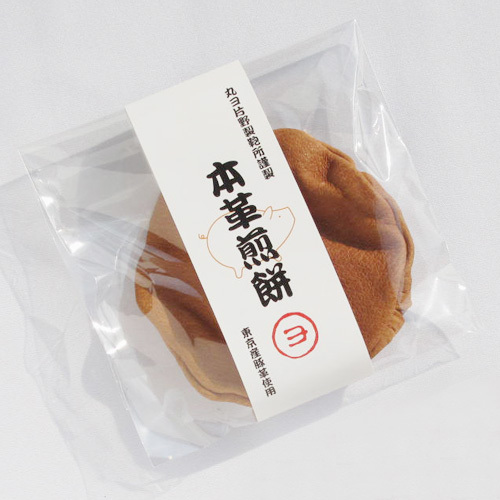 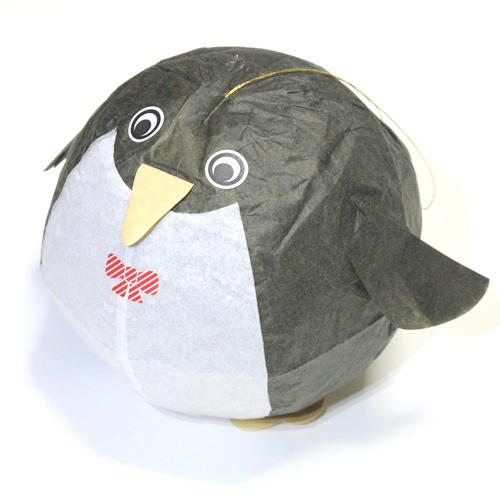 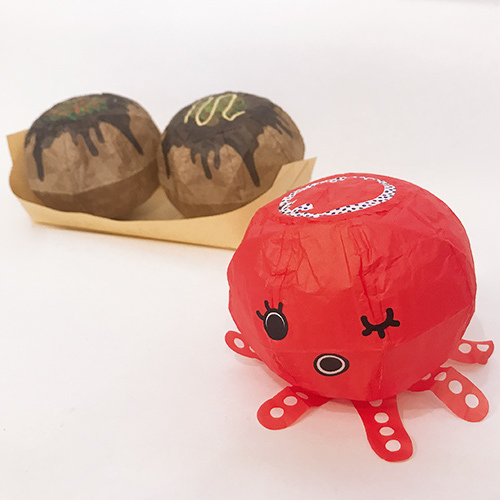 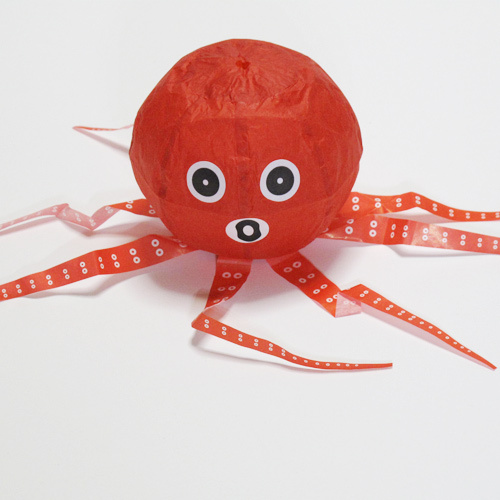 Your boss may scold you if you pick up one during a meeting. 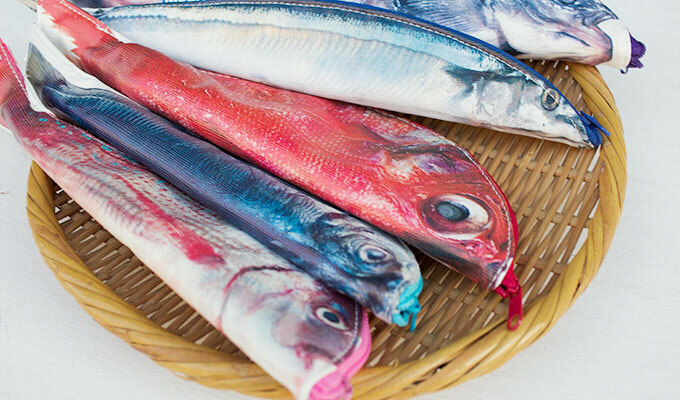 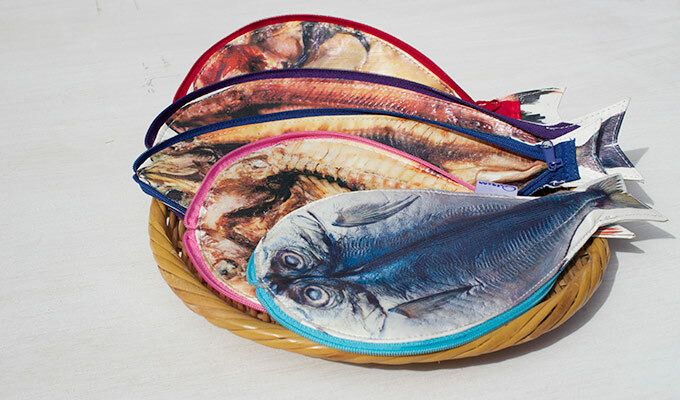 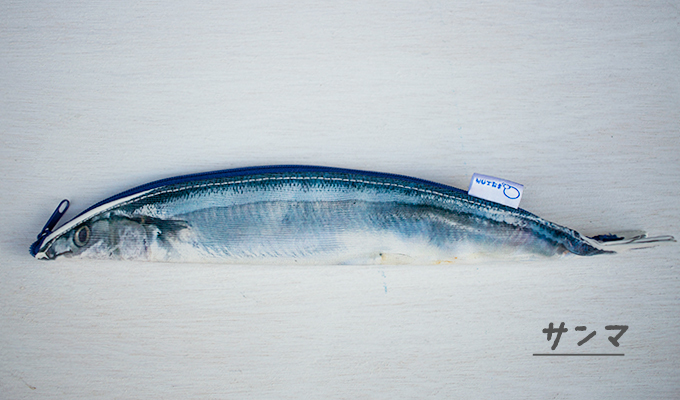 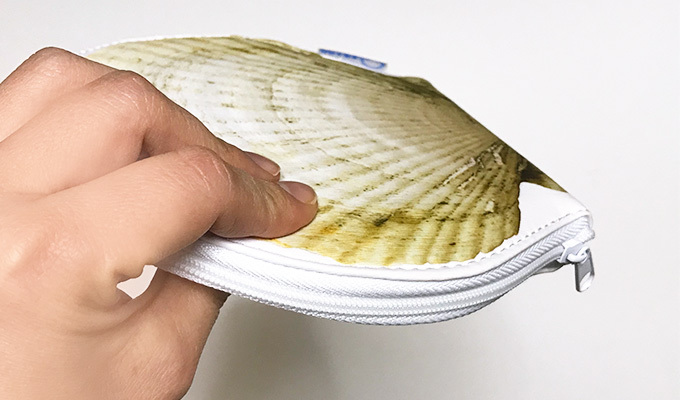 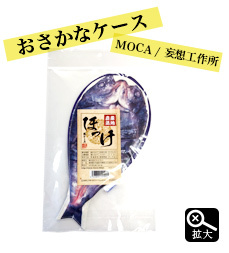 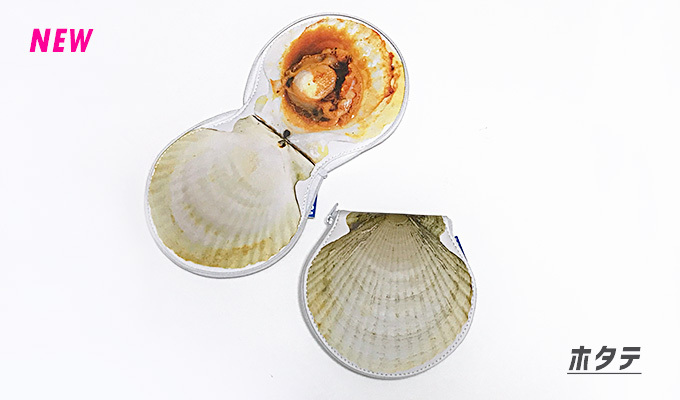 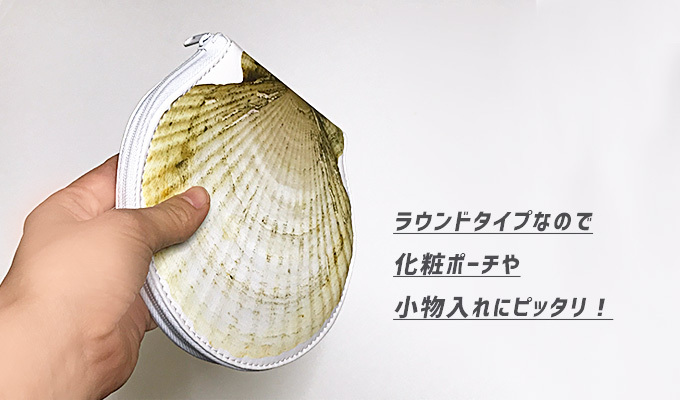 There are three types of fish cases of Hokke (atka mackerel), Aji (horse mackerel), and Kinme (splendid alfonsino), and a wallet of Hotate (scallop). 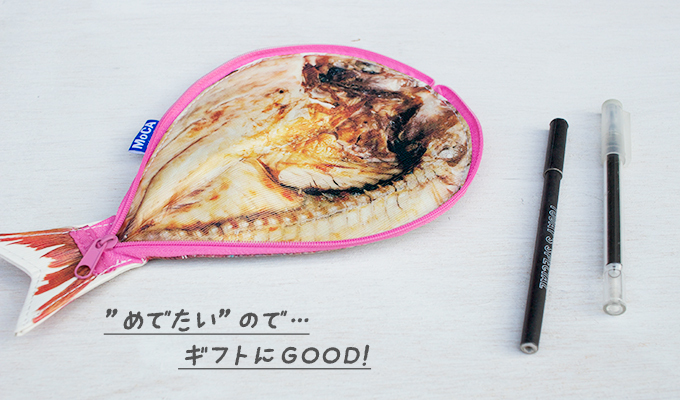 All are in the standard menu of izakaya (Japanese-style bar).